The Siberian or Amur tiger lives in mountainous areas in eastern Russia. At one time these large cats nearly went extinct with only 20 to 30 individuals left. The largest of the tigers, they are still very much endangered, as there are only an estimated 350 to 400 adults left in the wild. Russia outlawed killing the Siberian tiger in 1947, but it hasn't stopped poachers. Siberian tigers live in such remote locations that poachers can kill them without being caught. Poachers hunt these tigers for the illegal wildlife market selling skins, meat and bones. They are also hunted for traditional Asian medicines. Local people often view tigers as threats to people and livestock and may kill a rare tiger if they see one. As people continue to encroach on the tiger's original range, the Siberian tiger finds more people and less prey. These tigers eat wild boar, sika deer and elk. As the forest is turned into farmland or urban centers, the tiger no longer has enough food to support itself. Combined with poaching of its prey species, the Siberian tiger may not have enough prey to subsist on. Another factor may be climate change. According to the Defenders of Wildlife, coastal areas are being flooded, eliminating land that was once part of the tiger's range. 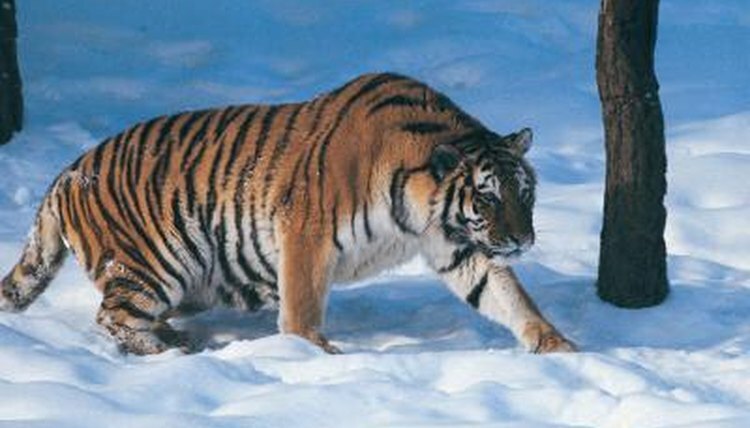 The Siberian tiger may be doomed because of its lack of genetic diversity. While these tigers have made a great comeback, the huge decrease in the 1940s means that these tigers have a very limited gene pool. The cats may be inbreeding, thus causing serious health problems that may doom the subspecies. The Siberian tiger is very close genetically to already extinct tigers. The concentration of Siberian tigers in the Sikhote-Alin mountain region in far east Russia exacerbates the lack of genetic diversity. About 90 percent of all wild Siberian tigers live in this region and there is little genetic exchange or movement between these tigers and the ones that live in the southwest Primorye province. Another group of Amur tigers live in China, but they are not an independent or viable population.